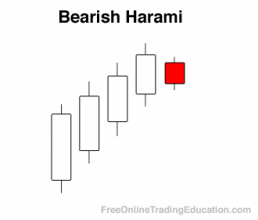 A Bearish Harami is a two bar bearish candlestick pattern where each candlestick has the opposite color. 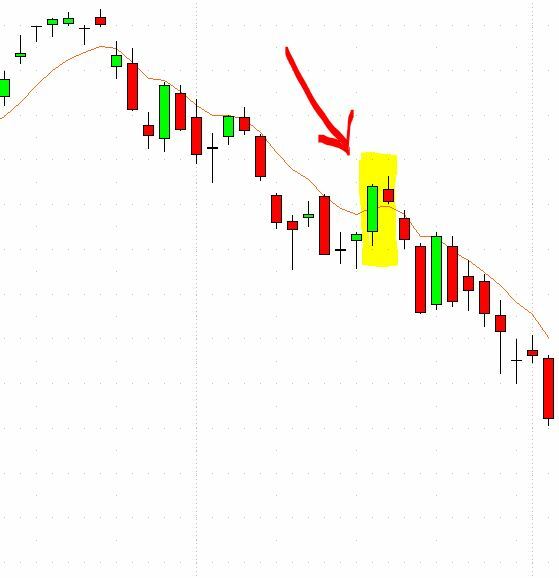 After a run-up in price, this pattern is formed when the real body of the second candlestick trades completely within the range of the real body of the previous candlestick. Technical analysts often use a Bearish Harami as a way to begin working their way into a short position. Additional confirmation in the form of a bearish chart pattern is often necessary before opening a trade.